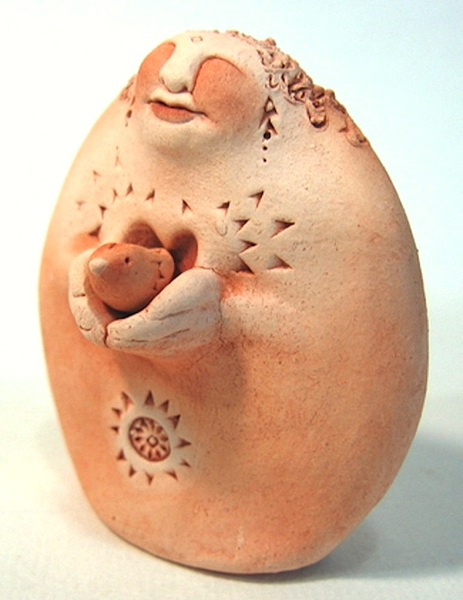 This figure holds a tiny handmade bird that is removable. Our loved ones leave us in many ways in every stage of their lives. This piece is about those passages and remindes us to trust that no matter what happens, all is well. 2.25 " tall. "As you take flight remember that you are surrounded by the limitless space of my heart. I see your wisdom, truth and beauty, and know you are protected from harm. Blessed Be!"